As some of you may recall, I started a recurring feature earlier this week wherein I respond to the Second City Network video series, “Advice from a Cartoon Princess.” Previously, I responded to their “Beauty and the Beast” video, showing which of their criticisms were valid critiques of the original fairy tale and which were only relevant to the Disney film versions. Today, I’ll be doing the same with their video about Snow White. In this particular video, there are several criticisms which apply to the original story and several which fit in only with the Disney retelling. Oddly, I also noticed a few that don’t seem to fit with either. One of the video’s criticisms is that Snow White marries the prince rather than one of the dwarves, claiming that she ruled them out as romantic partners because of their small stature. Honestly, this seems a little ridiculous. I don’t believe that she was unattracted to the dwarves because they were short, but because they were a different species. In fairy tales and fantasy, dwarves are not simply small humans but a different creature altogether. A suggestion that Snow White should have married one of the dwarves is akin to saying that Eowyn from “Lord of the Rings” should have married Merry (one of the hobbits) instead of Faramir; frankly, it’s a little ridiculous. The video also says that Snow “loves mirrors,” suggesting that she is vain. This seems a little ridiculous because the princess never seems self-absorbed in either story. 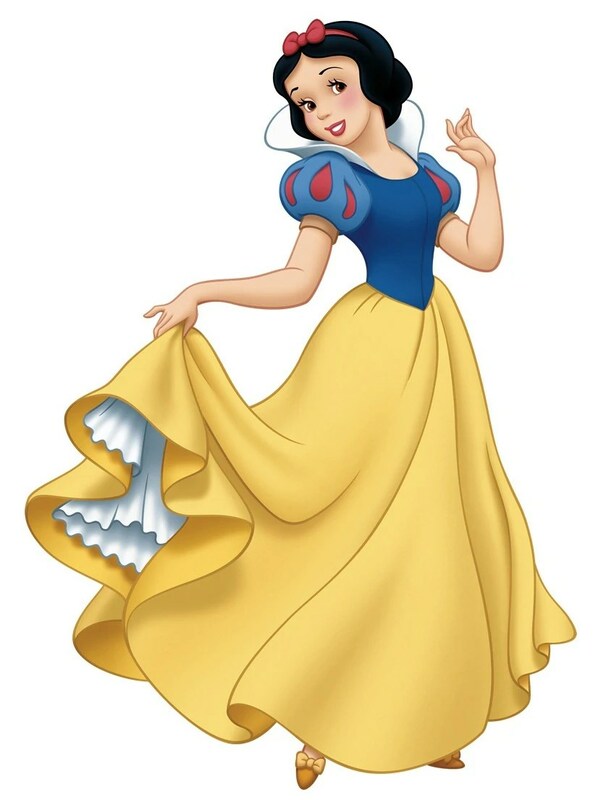 The only vain character is the antagonist, Snow White’s evil stepmother. The clip interprets the statement “fairest of them all” to mean “whitest of them all.” Although the word “fair” can mean “pale,” this is really taking things out of context. In the story, a different definition of the word is being used; “fair” is not meant to mean “white,” but “beautiful.” This is an intentional misinterpretation rather than a legitimate criticism of the fairy tale’s message. This video suggests that Snow White’s choice to let the wild animals help her with cleaning is not something to be encouraged. After all, encounters with wild animals can pose various dangers to children. Of course, the original story included none of Snow White’s animal friends, so this one is all on Disney. Next, the clip criticizes the fact that all of the dwarves are given nicknames that describe their most obvious features, not unlike frat boys. However, the dwarves in the original fairy tale were not given names at all. In fact, no names were mentioned until the story was turned into a Broadway play in 1912. They were renamed for the Walt Disney movie, so the dwarf names most people are familiar with (Dopey, Sneezy, Doc, Grumpy, Sleepy, Happy, and Bashful) are purely a Disney creation. The video also criticizes the fact that Snow White interprets attractive older women as evil, but assumes ugly older women are trustworthy. This is definitely only a problem with the Disney version. In the original fairy tale, the evil queen makes three separate attempts on Snow’s life, disguising herself differently each time. It is only when Disney eliminated the various disguises that this appeared to be a comparison involving levels of attractiveness and perceived trustworthiness among older women. In all versions of the story, Snow White lives platonically with seven men she met in a scary forest. As the video points out, this is maybe a little creepy. After all, Snow is a teenage runaway. Similarly, the video clip criticizes the way Snow White wanders into a random house and goes to sleep in a stranger’s bed. Clearly, she has never had a talk about stranger danger and seems weirdly okay with breaking and entering. The Second City Network also points out the fact that the princess’ priorities seem to consist of cooking, cleaning, and men. Admittedly, the dwarves in the original story agreed to let her stay with them in exchange for her doing their housework, but it is perhaps a little odd that she never seems to do anything else. Despite this, it seems like a weak criticism. Finally, the Snow White in the clip instructs kids not to eat fruit. This was actually my favorite moment in the video. I guess it would be possible for a young child to become suspicious of apples after hearing/watching this fairy tale! Although Second City Network’s criticisms of “Beauty and the Beast” were almost exclusively geared toward the Disney version, their critique of negative messages in “Snow White” is divided fairly evenly. In fact, more criticisms relate directly to the original than the retelling. I guess my response to their “Little Mermaid” clip will have to be the tiebreaker! Hello, everyone! First, let me apologize for my lack of updates, this summer. I was a little busy getting married. We also made several moves, so our internet often wasn’t that dependable. Hopefully, you’ll forgive me as I get back into the swing of this blog. I’d like to start back up by taking a look at some Second City Network videos with a fairy tale twist. Many of you may be familiar with my favorite Second City Network character, Sassy Gay Friend, wherein a sassy, gay guy stops literary characters from making huge mistakes. Their new series, “Advice from a Cartoon Princess,” features a woman who dresses up like princesses from various Disney films, then points out the negative messages these movies depict. My goal with this recurring feature is to pick apart these videos, documenting which of the negative messages appear in the original tales and which can only be found in their modern versions. The first video I’d like to discuss is about Belle from “Beauty and the Beast.” For easy reading, I’ve divided my response below into criticisms that only apply to the Disney version and criticisms that apply to both. The video’s first criticism of this French fairy tale is that the Beast is violent, but rich. It suggests that Belle stays with the Beast because she feels that she can change him. Interestingly, this is not a problem that can be seen in the tale’s original version. Although all versions of the story depict the Beast as ugly, the original never suggests that he is in any way violent or threatening toward her. This element was added later, most likely to make the story more exciting. The second criticism relates to the Beast’s orders that Belle must eat with him or not at all. This is almost a direct quote from the Disney film and does not appear in the original story. Second City Network cites the Disney character, Gaston, as a “hot, successful man who was very goal-oriented and wanted to marry” Belle, but suggests that she resisted his affection because it was not a challenge. This character does not even exist in the original story. As far as I can tell, the character was added so that the film would have a clear antagonist. Belle’s imprisonment by the beast is also pointed out. Interestingly, the original fairy tale handled this quite differently. Belle’s father steals a beautiful rose from the beast. When the beast sees this and threatens to kill him, Belle’s father pleads for his life, saying that the flower was meant as a gift to his daughter. The beast agrees not to kill him, and actually offers the man great riches in exchange for sending one of his daughters to live with him. The beast specifies that he will only accept the trade if the girl comes of her own free will; he does not want to imprison her. If none of his daughters will return, the man must come back to the castle himself. Belle, who is the least selfish of her sisters, offers to go because of the great benefit to her family. The video points out that Belle’s only friends are inanimate objects. The original tale, however, contained invisible servants, not talking furniture. The princess in the video says that Belle tolerates everything the beast does to her. This obviously only applies to the Disney movie, seeing as the beast in the original story is never mean to her. The video summarizes the story by saying that beauty is in the eye of the beholder as long as the woman is good looking. This is a flaw that can be seen in the original version of this fairy tale and many others; while women consistently fall in love with men who have been transformed into hideous creatures, the opposite is rarely true. Overall, it’s clear that the Second City Network is specifically targeting the Disney version of this story rather than the fairy tale itself. Although many of today’s fairy tales have been censored because of their potentially violent or disturbing themes, it’s obvious that these changes were accompanied by questionable messages of their own. At least in the case of “Beauty and the Beast,” the uncensored original seems to be the more appropriate version. Although I expected more people to tell me about the happily ever after Disney version, I was surprised when three of the five students summarized the original Hans Christian Andersen story in which the mermaid dies. Obviously, I did not have a large enough group of participants to draw conclusive evidence, but it is interesting to see that many people are actually familiar with the original versions of fairy tales despite their exposure to Disney retellings. There’s quite a buzz on the web about not one or two, but three upcoming Snow White film projects. Here’s a quick scoop on all three, along with my initial responses to what we know so far. What we know: This story is going to center around the often overlooked huntsman character, rumored to be played by Viggo Mortensen. There’s also talk of Charlize Theron as the Evil Queen and Kristen Stewart as Snow herself. My response: One thing I truly love about this film is the concept; I find it irresistible when retellings focus on characters that were largely ignored or vilified in the original stories. I am also excited to see Viggo Mortensen’s name associated with the movie. Whatever the role, I know he will do it justice. I am, however, a little skeptical about Kristen Stewart as Snow White. True, this film would place her in a supporting role, but I have yet to be convinced that she has more than one facial expression. Everything else about the project sounds great, though, so I hope she proves me wrong. What we know: This version of Snow White is set to include Julia Roberts in the Evil Queen role. It is also rumored to be the darkest and edgiest of the three upcoming films, with the seven dwarves depicted as thieves. My response: Talk of a dark, edgy fairy tale retelling always brings a smile to my face. 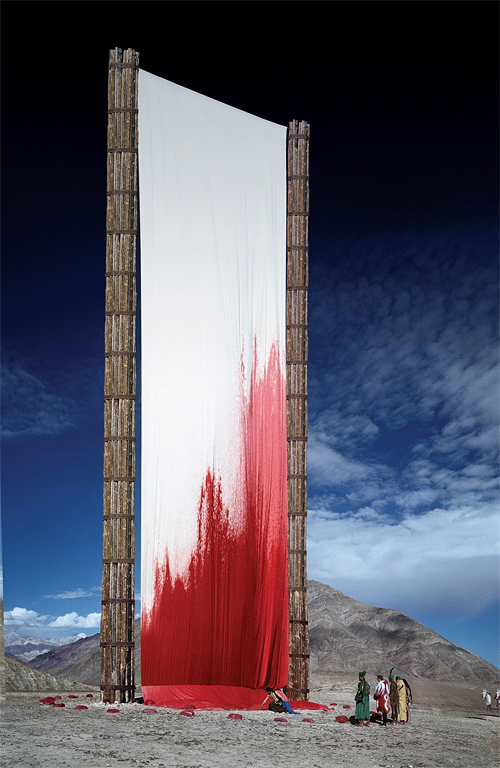 I’m not particularly familiar with the director (Tarsem Singh) but a quick internet search assured me that he has a real knack for beautiful yet unnerving imagery (See photo below. ), which is what I think every dark fairy tale needs. I have no complaints about Julia Roberts. In fact, I’m excited to see her tackle a darker role. I am a little unclear on the title; is this supposed to be associated in some way with 2005’s “The Brothers Grimm“? Either way, let’s hope this movie is just as awesome as it sounds. What we know: In this version, the seven are not dwarves; they’re a band of traveling warriors from various cultures. When Snow White (an English woman in China in the 1800s) meets them, they teach her their martial arts skills. Natalie Portman is rumored to be involved, but this is nowhere near confirmed. My response: This retelling sounds inventive and original, at least, but it sounds so different that it may not be recognizable. Of course, if the talented Natalie Portman really is involved, it’s bound to be awesome. Not to mention, the martial arts should at least be fun to watch. Those are my thoughts on the films, but what do you think? Take this poll and let me know which Snow White project you’re most looking forward to!